“The Navy doesn’t need to harm whales to train effectively with sonar. Humpback Whale off central California coast. 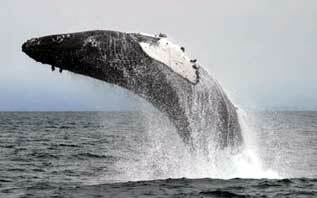 Photo courtesy of Monterey Bay Whale Watch.